The Uber integration allows you to automatically create an expense from your business rides. All you have to do is add Rydoo as expense provider in your Uber Business Profile and you are ready to ride. Select Add Business Profile or select an existing one. Next time you request a ride with your business profile, the receipts will be sent automatically to your Rydoo account. Rydoo is not listed in the Expense Provider view ? The Uber app might need a refresh to show the latest lists of Expense Providers. By force closing the Uber app, it will update the list of Expense Providers including Rydoo. Are your rides not arriving in your Rydoo account? Make sure the email you have entered in the Uber app is the same as the email you use to login to your Rydoo account. Make sure you have clicked the confirmation link in the email that Uber sends when you setup Rydoo as your expense provider. You can resend this confirmation email from your Expense Provider detail screen in your Uber Business Profile. Check if your ride is completed. Only after your ride has been completed fully, the expense info will be sent to Rydoo. When requesting a ride, make sure you have selected your business profile for that ride. When setting up your Business Profile, Uber will ask you where they should send receipts to for your business rides. Here you have to fill in the email that you use to login to your Rydoo account. Why do I need to confirm my email ? To ensure privacy and prevent abuse, we ask users to verify their work email address to start forwarding receipts to an Rydoo. After verification, your receipts will be send both to Rydoo and your own email. Do I receive a copy of the receipt from Uber? Which fields will be filled in when a ride becomes an expense ? How are tips managed ? Tips can be added in the Uber app after your ride has finished. These will also be sent to Rydoo and will be added as a separate expense. 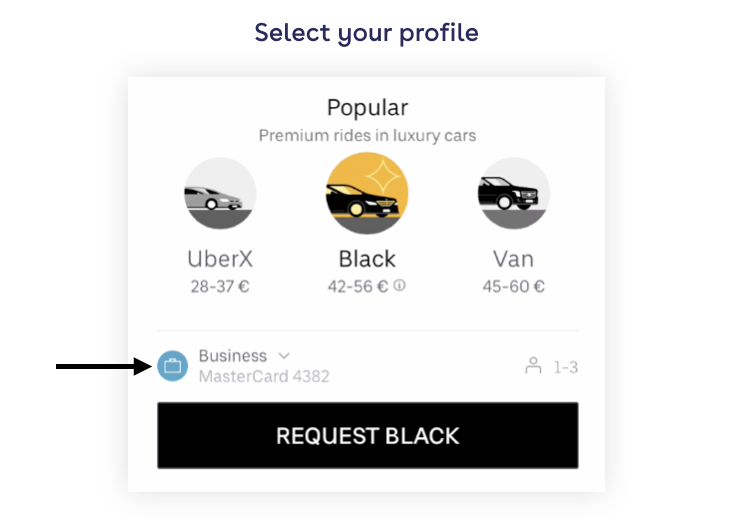 If you wish to stop forwarding receipts automatically, go to the Uber app > select Payments in the side menu > Select your Business profile > Tap on Rydoo to edit your expense provider details > below you can find a Disconnect button. Can I add my Uber for Business rides in Rydoo? Uber for Business offers a centralized account with central payments. The rides on this centralized account will not be using the above mentioned integration. Rydoo offers a separate integration with your Uber for Business account for Enterprise customers. Please contact us for more information.